Hair is the major factor in a woman’s beauty and many women are absolutely touchy about their hair. No wonder, human hair extensions soon got a lot of popularity and have now become a well-established and huge market. Many aspiring entrepreneurs may be tempted to start a wholesale human hair extension business. But before taking any major step, it’s advisable to consider the following things. You might have used hair extensions and have recently come to know about the huge market and so, are tempted to enter the business. However, have you thought about how much information you have about hair extensions? There are a lot of types of hair extensions and not just 2-3 types. You need to know about all of them in order to know which type is more popular, region-specific popularity, prices, durability, maintenance, whether they are natural or artificial and ultimately which one/s you should start selling with. This knowledge will also be of great help to you when your clients will shower you with questions and you will be able to answer all of them. Writing a business plan makes a huge difference. Your expectations, realities, budget, expenses, types of expenses, and many more factors included in the business are all crystal clear and your confusion is eliminated. You become well aware of facts and figures, and you can take actions accordingly. Just calculating and planning haphazardly in your mind and not writing it down may put you into a lot of mess, which may even lead to loss. 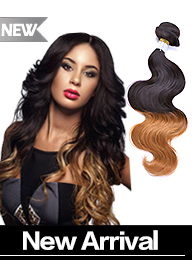 You will have to mainly consider expenses of importing and exporting the virgin hair. Plus there are a lot of things to consider for which writing a business plan is essential. Once you decide your goals, establish a budget, write down your business plan and got almost everything clear, your next job is to find a good wholesale virgin hair supplier. Remember that there are a lot of suppliers out there and you will have to test samples for which you will need a lot of money. (This too should be included in your business plan.) After getting the samples and dealing with the suppliers, you can get an idea of which supplier can be good enough to do business with. Once you got a good supplier and you are now ready to sell the extensions, you can start promoting your business vigorously. Better you find your target customers, like African, Spanish, Caucasian or American, and pass the buzz about your business to respective customers. Take help of printed as well as digital media to advertise your business. 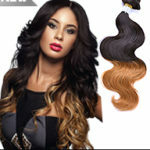 New Star Virgin Hair is a leading trader in virgin human hair extensions. They have years of experience in the business and they are committed to provide high quality hair extensions to their customers. Visit their website to know more. Next story How to Get the Best Electronic Equipment Deals In 2017?